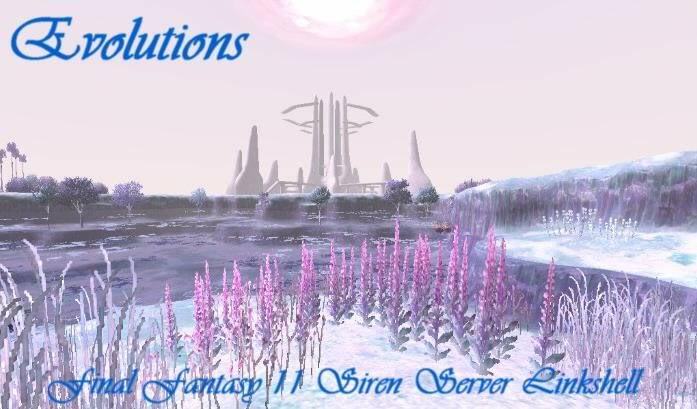 FFXI Siren Server: Evolutions Linkshell Forum. Information about Evolutions LS and what we do. If you would like to join Evolutions see and apply here. Information on recent events and achievements. Please check here to see current Sky rules. Please post your Wishlist for Sky drops here. Please check here to see where you are in the lotting list. Please post your Wishlist for Limbus drops here. Please check here to see your current Limbus points. Click to view/post topics about Other Events, such as Force Pop NMs. Click to view/post topics about General subjects not related to events.